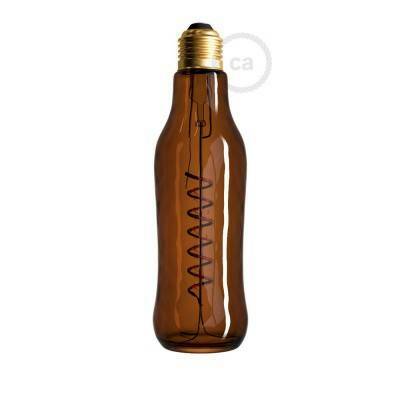 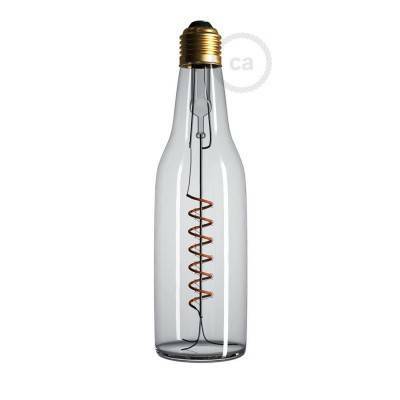 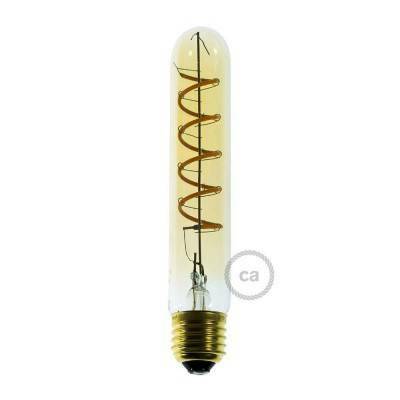 The T38 golden LED light bulb features a length of almost thirty centimeters and a LED incandescent filament that seems to bounce inside the glass. 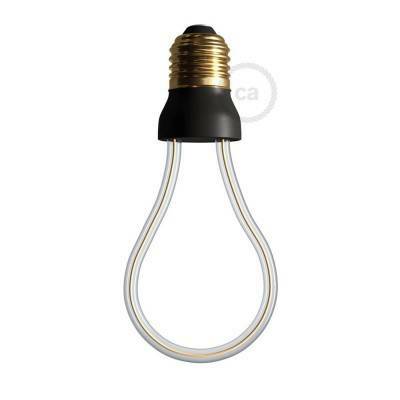 The unique shape of the bulb makes it able to create an extraordinary atmosphere when turned on. 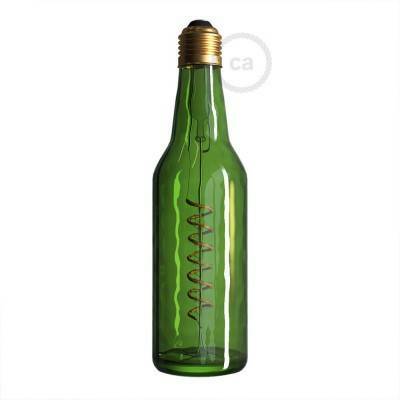 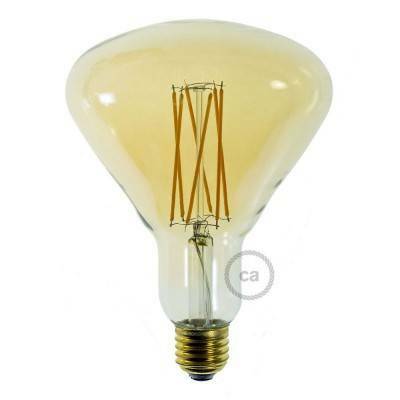 Thanks to the LED filament, it has a power consumption of only 5.5 Watts and a warm light boosted by golden glass.